You can minimize puppy shots reactions by following a minimalist approach to vaccination and being aware of any breed or size specific risks your puppy might have. But any puppy can react badly, or experience side-effects, to any vaccine. They are caused by your pup's body OVER-reacting to the vaccines' ingredients (either the viruses themselves or the adjuvants ie. added ingredients). Some side-effects are mild (although uncomfortable, or even painful) for your puppy. Others can be very serious, including life-threatening anaphylactic reactions. A few are 'localized' reactions, ie they happen at the site of the injection. Some are 'systemic' reactions that they affect the whole body, others cause damage to the immune system and can lead to chronic health problems. In the late 1990's a study was undertaken at Purdue University School of Veterinary Medicine to examine the effects of vaccination on a puppy's immune system. The results showed that vaccinated puppies developed auto-antibodies to some of their own body chemicals/proteins, including their own DNA. This reaction is what is believed to be at the root of the autoimmune conditions which are becoming more and more common in dogs today. There is a lot of information below. You can use these links to jump to specific sections or simply scroll down to read the entire article. 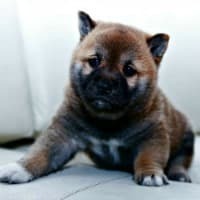 Although the following reactions to puppy vaccinations are milder than many of the alternatives, they can still cause your little Rascal some discomfort and/or distress. Most of these reactions will happen within 24 - 48 hours of the shots being given (swelling, lethargy, fever etc.) and last for a couple of days. A hard lump at the injection site may disappear within a week or so, may take months, or can last indefinitely. Some may not show up for several days (sneezing, runny nose, changes to coat). Your veterinarian may tell you these are normal reactions. By 'normal' he/she means 'common'. Being unwell is not normal. Some of these can happen within a few hours (hives), or within 24 hours (swelling of the face, behavioral changes). Others may not show up for several days, or a week or more. Some of the most severe adverse reactions to puppy vaccines cause lifelong health problems which cause pain, poor quality of life and eventually a premature death. With the exception of an Anaphylactic reaction or possibly vaccine-associated Sarcoma you're not going to be seeing these suddenly appear when little Rascal has his vaccinations! This is long-term damage which will show up over time, and the more vaccinations he has over his lifetime the greater the risks of him developing one, or more, of these problems. These happen when your pup's immune system is confused by the viruses and adjuvants which have been injected and instead of attacking the virus it attacks it's own healthy cells. Puppy shots reactions are often inflammatory, and this inflammation can cause all sorts of serious problems throughout Rascal's body. 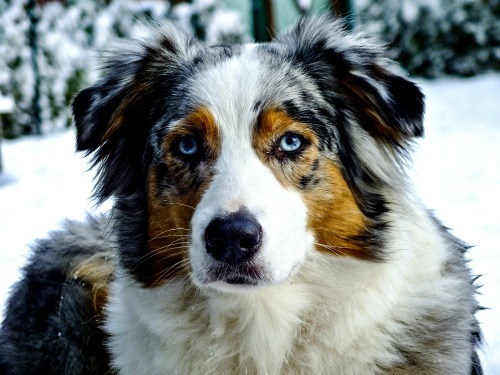 A cancerous tumor directly associated with canine vaccination is the Vaccine-associated Sarcoma (but it is still much more rare in dogs than in cats). This starts with a lump at the site of the injection, which grows and ulcerates until it becomes a nasty sore. This sore is a malignant tumor which can be rooted in muscle, fat, bone or cartilege (or a combination of them). It's an aggressive tumor which quickly spreads to other parts of the body. The vaccine which has the highest incidence of sarcoma is the Rabies shot, but it's by no means the only vaccination which is linked to Sarcoma. Research indicates that the more vaccines are given the higher the risk of a developing a Sarcoma. Other cancers which may be associated with vaccine damage include Lymphoma (cancer of the lymph nodes), Leukemia (cancer which affects white blood cell production), Osteosarcoma (bone cancer), and Mast Cell Tumors (affects mast cells which respond to inflammation/allergens, usually seen as malignant skin tumors). So, why would vaccinations cause cancer? Apart from the inflammation aspect, one of the main culprits may well be the adjuvant, Aluminum Hydroxide which, according to the World Health Organization, is a Grade 3 carcinogen (with Grade 4 being the worst possibility). Seizures can be caused by vaccination, and are most often associated with the Rabies vaccine. This could be as a result of an initial adverse reaction of brain inflammation, but research in this area is limited and as yet not a lot is known about the relationship between vaccination and seizures or epilepsy in dogs. An anaphylactic allergic reaction to puppy shots is also possible. This type of reaction USUALLY happens almost immediately after the shots have been given and can be fatal if not treated quickly. This type of reaction needs immediate treatment from a veterinarian as Rascal will need Epinephrine, antihistamines and monitoring closely by a professional until he is fully recovered. I always feel it's a good idea to hang out in the Veterinary Clinic waiting room or in the car for 15 - 30 minutes after your pup has been given a shot, just in case something as urgent as a life-threatening allergic reaction should happen... that way you're close to the help you'll need. 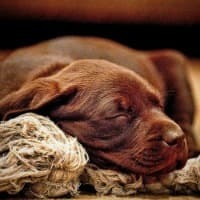 Veterinarian's often don't connect the dots between puppy vaccination and reactions which happen more than 72 hours later. Your vet may tell you that the problem is unrelated, and of course, occasionally it might be. However, research has shown that many, many times there IS a connection. This is not solely the veterinarian's fault because many times owners fail to report side effects or reactions. Without getting this type of valuable feedback a vet could continue to think that puppy shots reactions are rare. If your puppy has a bad reaction to his shots (even if it's a fairly mild one), it increases the chances of him having a similar, or more severe reaction, the next time he's vaccinated. It's important to let your vet know what happened so that it can be put into your pup's veterinary notes and depending on how severe the reaction is your little guy could potentially not be safe for further vaccination, or there should be extra precautions taken at the time they are given. In order to improve the safety of canine vaccines it's also important that researchers have access to accurate statistics for adverse reactions. As it is, only a small percentage of the reactions are actually reported to the vaccine manufacturers or to the Center for Veterinary Biologics (CVB). You help with this by letting your vet know about any moderate to severe reaction your little Rascal has to his puppy vaccinations... and by asking him to report it to both the vaccine manufacturer and to the CVB. This page has an electronic form for reporting this type of information and you can share it with your veterinarian if he is unfamiliar with the process... USDA Adverse Event Reporting. Veterinary clinics are busy places and in spite of the AHA's Canine Veterinary Task Force requesting vets to report reactions, many times the information doesn't get passed on to the vaccine manufacturer or the CVB... but you can do this yourself! Call each manufacturer and report the reaction. 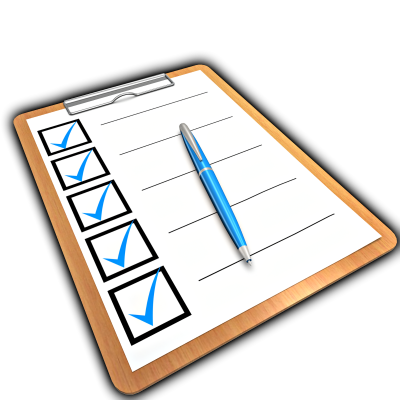 If your veterinarian didn't follow these safe practice guidelines it's perfectly okay to find another veterinarian that does, or that you feel more comfortable with. Choosing a veterinarian with a holistic or homeopathic practice is also an option. 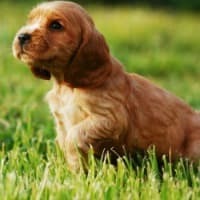 Which Puppies Are Most At Risk? 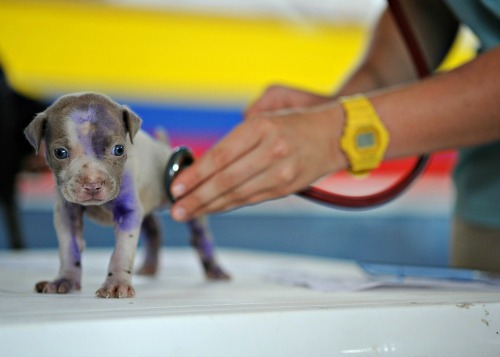 Any puppy can have a bad reaction, or have nasty side effects from any vaccination. But there are also a variety of risk factors that mean some puppies and dogs have a higher chance of reacting badly. 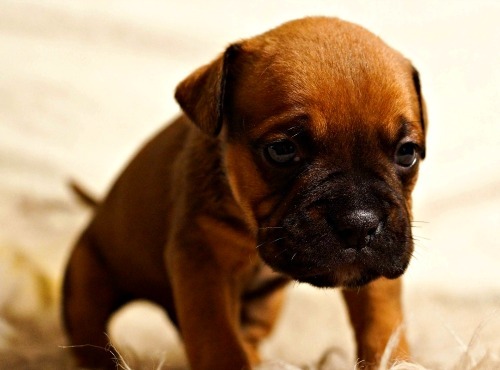 Research shows that young, male, small breed puppies (or dogs) who receive multiple vaccinations are at the top end of the scale when it comes to risk. They are the group most likely to show adverse reactions to puppy shots and/or booster shots, both in the short term and long term. Some vaccines tend to cause adverse reactions more often than others. These are generally the 'killed' vaccines, which (counter-intuitively perhaps) contain higher viral levels and also more adjuvants (additives). If little Rascal has a bad reaction to his puppy shots, the first thing to do is to call your veterinarian and tell them what's happening. Minor reactions generally don't need any treatment but it's important to realize that although the noticeable reaction will be self-limiting, there is most likely being damage done at a cellular level which could show up weeks, months, or years later as chronic health problems. Moderate reactions to puppy vaccinations may need veterinary attention, and any severe reactions most definitely do! The most important thing YOU can do for your pup is to build up his immune system so that his body can deal with the assault of viruses and chemicals more efficiently. The gut is the center of the immune system so balancing his digestive system and strengthening the gut is crucial. Adding probiotics (and probiotics) as dietary supplements is an important step. Products that contain more than 10 billion CFU are best, and avoid those which contain dairy. Fundamentally, the basis of a healthy immune system and digestive system is a premium, natural diet. Make sure your puppy is eating a premium well-balanced diet, whether it's a commercial food, raw, home made, freeze dried or a combination of them. Add Omega-3 Fatty Acids as a supplement because this helps reduce inflammation and can aid in moving toxins out of Rascal's body. Complimentary practices such as homeopathy, acupuncture can help remove the toxins from your little one's body and rebalance his immune system.